Yes, so we are finally here, talking about my favourite decade in history of cinema's TOP 10 films. This was a tough one, but in a way easy as well. Most of my favourite films are from 1970's, but I explored some new and underrated films as well for the 70's and found some GREAT one's. Anyway, you will find them in the honourable mentions, without wasting any time LETS START! The most disturbing film ever? YES! This is a film which is not for everyone, it is one of those that you would like to watch only once. This is also one of the most controversial films of all time! This film is a necessary evil, it full of rage and sadness, it is like the evil brother of SCHINDLER’S LIST, no truly this film is not easy to watch, ROGER EBERT owned the film, but never watched it. Also, it is an must watch for aspiring filmmakers, it is very artistic. Just give this movie a try, it is not the movie I love, but I cannot deny the fact, it is an big accomplishment. 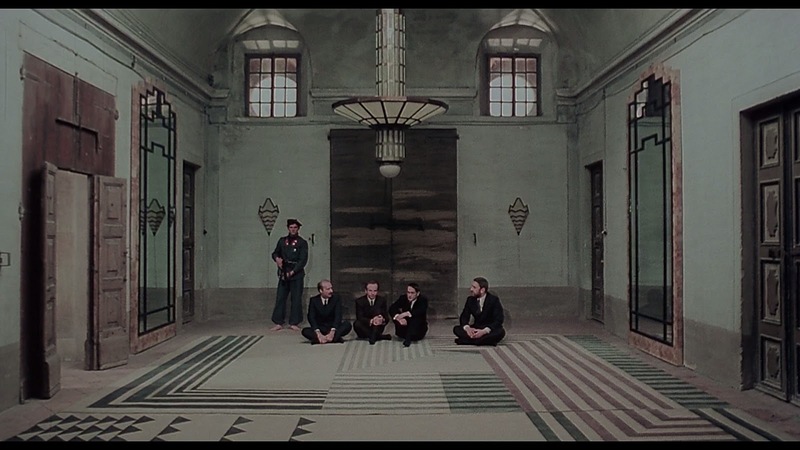 Also, did you know the director of the film (Pier Paolo Pasolini) was murdered shortly before the release of it :/. One of the best film from SOVIET UNION, Infact the best SOVIET UNION movie not directed by ANDREI TARKOVSKY ;), I believe. This movie is just brilliant, it had no GREAT actors, amateur’s mostly, but did that affected the film? Absolutely not! They were so GREAT in the film. This is one of the most artistic film, I’ve ever seen. Also, this is directed by a women, which is a big achievement within itself. The plot of the film couldn’t be much simpler. This is one of the most underrated film, and this one, I mean it, very few people have seen this, but what is a great pleasure about it is that, it is available to watch for free here. This film, is the one, which you should not miss, It is so emotional, and it has a heart for it’s characters. Sidney Lumet is a genius, he has crafted some of the best films, and my favourites. NETWORK is my favourite LUMET film of all time, Yes I know he did another masterpiece 12 ANGRY MEN, he has many others as well. But NETWORK, is a film that tells the truth about the T.V people to what extent they can go just for their profits. This is a movie, that I can have a good time with. It could make you laugh, and even can get you serious at times. This is a very well character study, like LUMET does, even in his 12 ANGRY MEN, we just saw HENRY FONDA’s character at one place only for 1 ½ hour, but we learned so much about him. 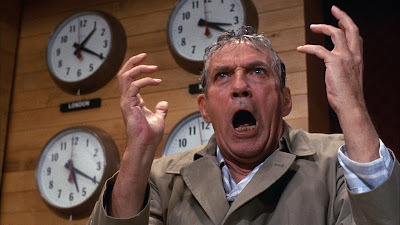 NETWORK Is a film which was way ahead of it’s time. PETER FINCH gives a ground-breaking performance, sad it turned out to be his last year, but he was rewarded with the OSCAR which he deserved every bit of. 1976 was a brilliant year for films, we had so many GREAT’s and NETWORK was the second best that year for me, hold on, don’t’ scroll at the top, you would know what is no.1 in no time ;). NETWORK is a movie, I can never get tired off. The best heist movie? Arguably YES! Tough best foreign HEIST movie by far. 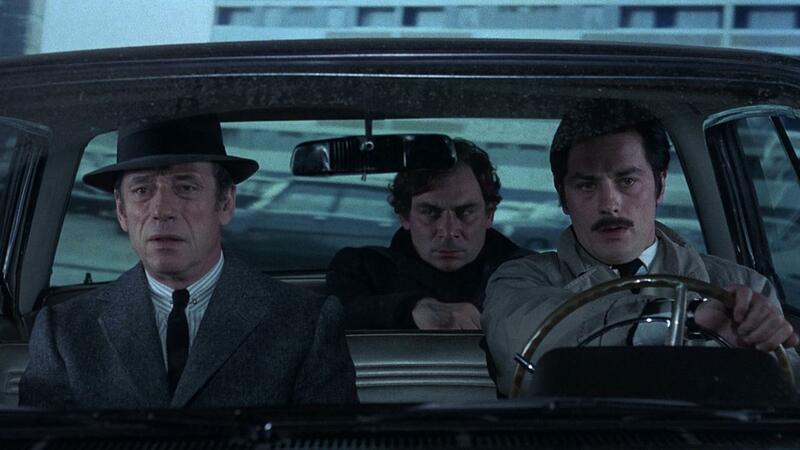 JEAN-PIERRE MELVILLE was a genius and one of the greatest filmmaker’s ever lived. He was master at making CRIME films which is my personal favourite genre. He can tell us a lot with saying anything. He uses silence like no other director does, this is not his best film but yeah in top 5 for sure! Scene after scene, it just got GREATER & GREATER. A perfect film-noir, this film is a CLASSIC! One of STANLEY KUBRICK’s ultimate best, it is easily in his top 3 for me. 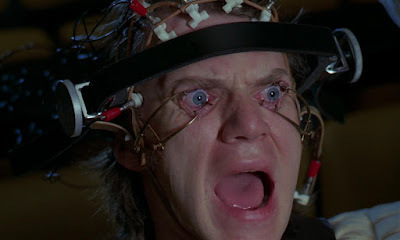 A CLOCKWORK ORANGE, is different from any other KUBRICK movie, well his all films are different tough :P. This movie is violent, disturbing and may not be for everyone, but it’s KUBRICK ;). This movie was way ahead of it’s time, such brilliance in the early. This film has a hidden element to it, which I won’t spoil, very few people find it. This was one of the very first movies of KUBRICK’s that I watched, and it has a special place in my heart ever since. This film has one of the best use of narration I have ever seen. STANLEY KUBRICK’s other work, BARRY LYNDON is superb but this is even better. It has mixed two very different genre’s and my favourite’s, SC-FI & CRIME, which is an interesting thing itself. Andrei Tarkovsky created some of the best works of 1970’s right from SOLARIS to STALKER. But it was his MIRROR that managed to be on the list. I love all three movies of almost equally, but MIRROR really has something special in it. This movie is roughly autobiographical, this is one of the most unique film I have ever seen. TARKOVSKY adds poetic element to it, which is even more brilliant. This is film, which requires multiple viewings, to appreciate it fully. 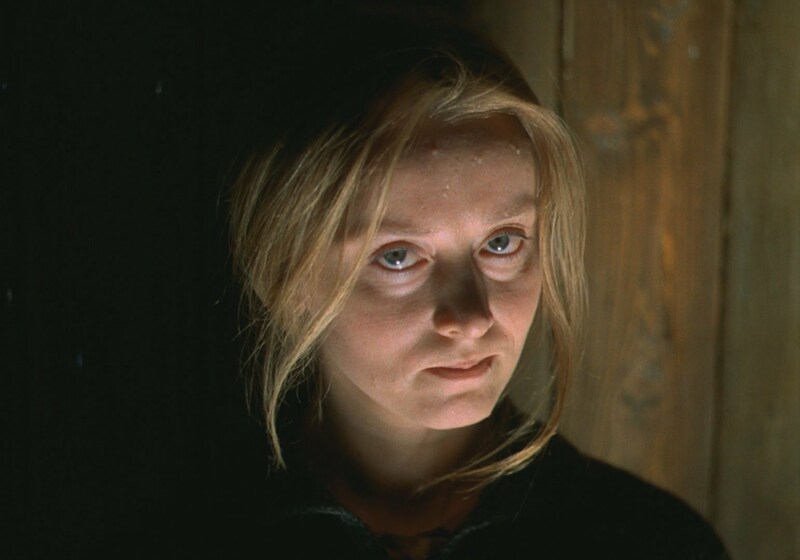 ANDREI TARKOVSKY was one of the greatest filmmaker of all time, and this is his best. It has nonlinear style of storytelling, which I am always a fan of. It is full of dreams and flashbacks. This is like a TERRANCE MALICK film, the poetic element in the movie is so clear and very well executed. All, I could say is this, everybody may not like this film, because of it’s structure maybe, but for me as well as a lot of other people, this movie is one heck of filmmaking. Hats off to Mr. ANDREI TARKOVSKY. Best NEO-NOIR film of all time? HELL YEAH! This movie is so perfect I cannot express it in words, such a beautiful film. This film’s screenplay has been called the best screenplay ever written, I would say that is arguably true. This is what I would call it GREAT WRITING + GREAT TWIST + GREAT PERFORMANCES + TOP-NOTCH DIRECTION = A MASTERPIECE + ONE OF THE GREATEST MOVIES EVER MADE. No, really this film has one of the twists of all time, ROMAN POLANSKI did a fantastic job creating this masterpiece. This movie is one my favourite movies of all time, such a perfect, marvelous film. 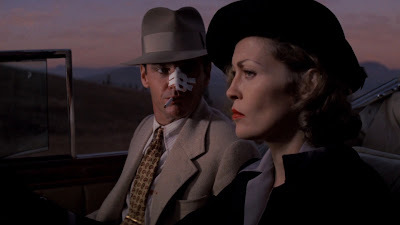 And how I can forget the epic and one of the best closing lines ever, “Jake Leave It, It’s Chinatown”. The best war film ever made, by far in my opinion. 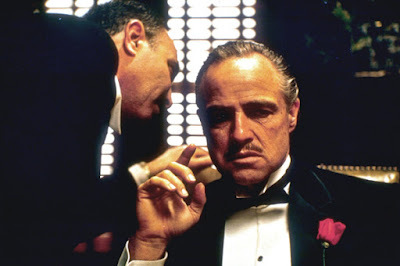 This movie is also a masterpiece by FRANCIS FORD COPPOLA, this is also known as arguably his best work, tough I think it is third, :P wait till the top of the list ;). Right from first scene, We see trees, then a brilliant piece of music starts, THIS THE END….OH MY ONLY FRIEND..THE END! That is one of favourite songs used in movies of all time. This is MARTIN SHEEN’s best performance by far. No, it dosen’t have war action sequences like SAVING PRIVATE RYAN, not it has poetic elements of the great THE THIN RED LINE( which is the second best war film according to me ). But APOCALYPSE NOW is one of the strongest film I have ever seen. This is one of the darkest war film of all time. 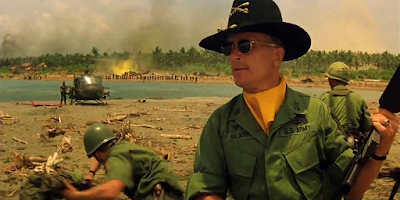 This movie is top-notch, weather by performances or writing or direction, ROBERT DUVALL is mind blowing in the film as well as legendry MARLON BRANDO. This film went with a lot of delays and problems but the result was worth it, it went on winning PALM D’OR AWARDS at CANNES, I still wonder how the hell KRAMER VS KRAMER won BEST PICTURE at OSCARS, that year , this movie deserved every bit of it. Nonetheless, this movie is one of my favourite of all time, like in TOP 10 itself. A movie that changed my life and it is the reason I’m writing this today, I owe it all to this MASTERPIECE, this is the movie after watching I said I want to be filmmaker. You can read about it here, I have already done the explanation about the movie that changed my life. MARTIN SCORSESE’s other masterpiece of 1970 was MEAN STREETS was brilliant, but out of nowhere, PAUL SCHADER wrote this marvelous screenplay with inspiration from his own life, and they found the perfect director for it Mr. MARTIN SCORSESE. This is my favourite character study of all time, also this is my no.2 favourite film of all time. 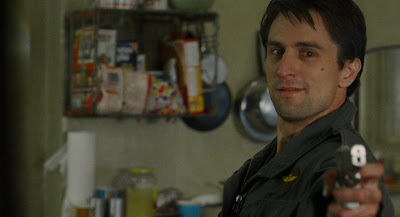 This movie has dark humour, it has violent action, it has one of the best screenplay, and it has one of the greatest performance of all time by ROBERT DI NIRO, he completely became TRAVIS BICKLE. This is a perfect neo-noir film, I have watched this movie 8-10 times, and I am still ready to take another viewing. 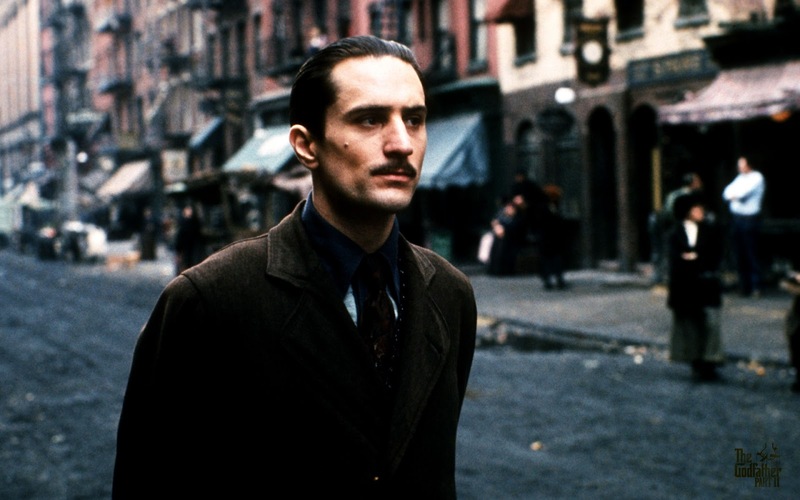 This is a movie which requires multiple viewings, and also I think this is SCORSESE’s best work, YES I know he had gone making more masterpieces but for me, this stays his best. I cannot express it in words how much I love this film. What else could have topped the list, my favourite movie of all time. Yes, It had to be this way, both parts at the first place, tough I give slight edge to first one but second one has even darker tone, and it has told two different stories of YOUNG VITO CORLEONE which is played marvelously by ROBERT DI NIRO & MICHAEL CORLEONE which is also played brilliantly by AL PACINO. But my favourite performance in the movie comes from the GREAT MARLON BRANDO. These films have one of the best screenplay’s of all time. FRANCIS FORD COPPOLA, he was a genius and he proved it with these and other two masterpieces in the 70’s, there is no doubt he was the best director of 70’s. This film was called the best film since CITIZEN KANE, and is still called one of the greatest of all time. This is what I would call perfect films. This is the greatest movie in my opinion I have seen a lot of film in the last 4 years, but none could top these masterpieces. This movie re revolutionized the whole movie industry. What else could I say! Ø BARRY LYNDON - One of KUBRICK’s very best. Ø DOG DAY AFTERNOON – Sidney Lumet’s ultimate masterpiece. Ø THE EXORCIST – Arguably, the greatest horror film of all time. Ø THE FRENCH CONNECTION – Best chase scenes ever? YES, just right after the film “Z”. Ø SORCERER – One of the best remakes of all time. Ø SOLARIS – Great science fiction film, but also a philosophical one. Ø THE CONVERSATION – Coppola’s underrated masterpiece. Ø MEAN STREETS – One of SCORSESE’s most earlier work, but still one of his very BEST. Ø ALL THE PRESIDENTS MEN – Best movie about Journalism? YES, right after what else CITIZEN KANE :P.
Ø JAWS – For me, it’s the best SPIELBERG film, every minute is special. Ø ONE FLEW OVER CUKOOS NEST – One of the best films about mental illness :P.
Ø STAR WARS – The movie that changed the SC-FI genre. Ø MANHATTAN – WOODY ALLEN’s ultimate best (in my opinion, just right after ZELIG). Ø THE DEER HUNTER – Very powerful film, with great action and performances. Ø ROCKY – Best sports related movie, after RAGING BULL. Ø ALIEN – One of only few film of Ridley Scott’s that I like. Ø DELIVERENCE – Greatest adventure-thriller of 70’s by far. Ø AMERICAN GRAFFITI – Best high school movie, LUCAS’s ultimate best. Ø BEING THERE – This came as a surprise, just two words, FUNNY & GREAT. Ø ANIMAL HOUSE – One of the most rewatchable films of all time. Ø MONTY PYTHON & THE HOLY GRAIL – Funny as anything you can imagine. Ø ALL THAT JAZZ – Best musical ever? YESS!! Ø CABARET – Bob Fosse’s second best work, great film. Ø MASH – Robert Altman’s best, it is COMEDY with WAR. Ø THE LAST PICTURE SHOW – Black & White but powerful. Ø HALLOWEEN – Carpenter’s ultimate best, great HORROR. 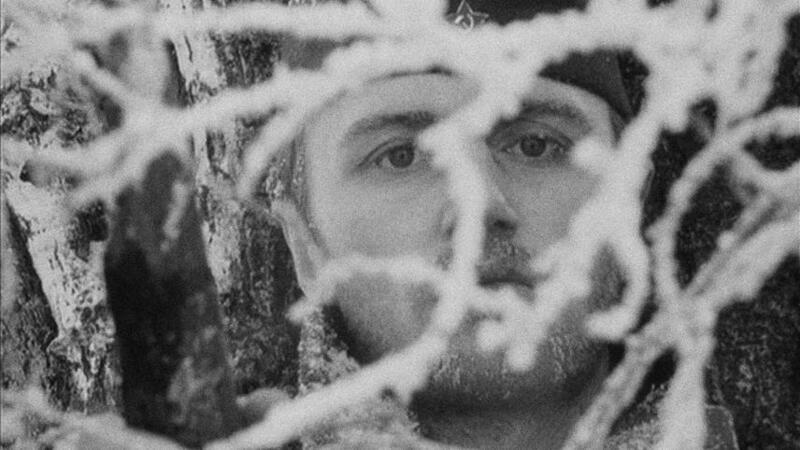 Ø FIVE PIECES EASILY -Down to earth film, but powerful. Ø THE TEXAS CHAINSAW MASSARCE – Most violent film of 70’s. 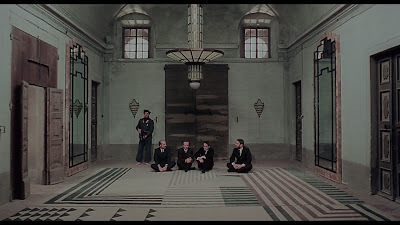 Ø DAYS OF HEAVEN – One of the most beautiful films ever made. Ø BADLANDS – One of the best debuts of all time, THANKS to Mr. MALCIK. Ø LAST TANGO IN PARIS – Marlon Brando is itself is a reason to watch it. Ø THE AMERICAN FRIEND – Steller film, crime, drama, mystery. Very well executed film and UNDERRATED one. Ø THE OUTFIT – Brilliant, adore this film, again an underrated one. Ø THE SHOUT – Now, not GREAT, but worth a watch. UNDERRATED. Ø JOHNNY GOT HIS GUN – UNDERRATED, unique one. Ø ANAND – One of the best INDIAN films of all time. Ø CAMERA BUFF – Kieslowski’s ultimate comedy. Ø THE DEVILS – Really underrated, deserves a lot more love. Ø THE MAN WHO WOULD BE KING- Marvelous film. Ø PAPER MOON- Black & White comedy, and a great one. Ø AGUIRRE: THE WRATH OF GOD – Epic film, ROGER EBERT named it in his top 10 of all time. Ø NASHVILLE – Great drama-music, unique way of storytelling. Ø WOODSTOCK – Just WOW! Ø CLOSE ENCOUNTERS OF THE THIRD KIND – One of the SPIELBERG films, I like. Ø ROLLING THUNDER – Thriller, with PAUL SCHADER’s writing. Ø THE BAD NEWS BEARS – A fun film about sports. Ø AUTMN SONATA – Not BERGMAN’s ultimate best, but still GREAT. Ø CRIES & WHISPER – Bergman and his gorgeous films. Ø PATT GARETT & BILLY THE KID – One of the most underrated and one of the best WESTERN ever made. Ø STRAW DOGS – One of PECKINPAH’s masterpiece. Perfect CRIME-THRILLER. Ø WAKE IN FRIGHT – One of the best thrillers, and probably my favourite AUSTRIALIAN film “underrated”. Ø JEANNE DIELMAN, 23 QUAI COMMERCE, 1080 BRUXELLES – I know it got it’s official release in 1983, but leaving that aside, a unique and extraordinary film.